Administrator's Notice, attaching real estate assets to pay debts after death when personal property was insufficient. 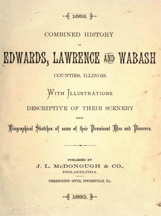 "Combined history of Edwards, Lawrence and Wabash counties, Illinois. With illustrations ... and biographical sketches of some of their prominent men and pioneers "
In 1816, quite a little colony left Alleghany county, New York, to make their homes upon the wild frontiers. Among these with their families, were George W. Higgins, John Higgios, Willis Higgins, Edward Brines, Henry Utter, Lemuel Haskins, David Moss, John Harrison, Benjamin Smith, and Levi Couch. They secured boats at the Alleghany river and floated down to the Ohio, and thence to Evansville. Here they procured keel-boats and came up the Wabash, landing at Old Palmyra. Of this little band of emigrants, five families settled in Lancaster precinct, John Higgins, Couch, Moss, Harrison and Smith. The others located in Friendsville. Others of an early date who located in Lancaster precinct were, Isaac Harues, Henry Cusick, James McMullen, George and David Pugh, George and Andrew Knight, James Rollins, Jessie Jones, Geo. Glick Elias Baily, Rozander Smith, Samuel Fisher and others. Doug's Note: Levi's son Hiram and grandson Levi, both came from Allegheny, NY. [S18848] 1800 US Census, Milton, Saratoga Co, NY. 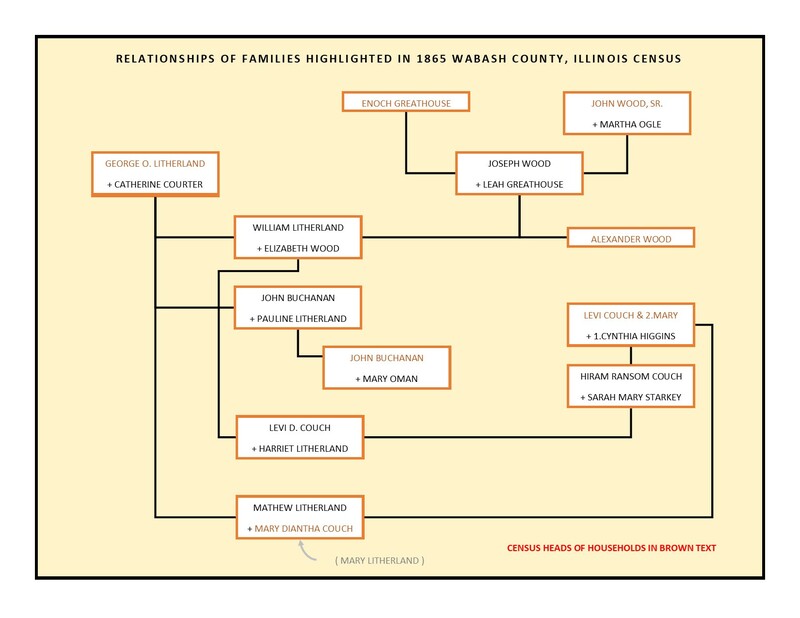 [S18857] 1830 Illinois State Census, Wabash Co, IL.